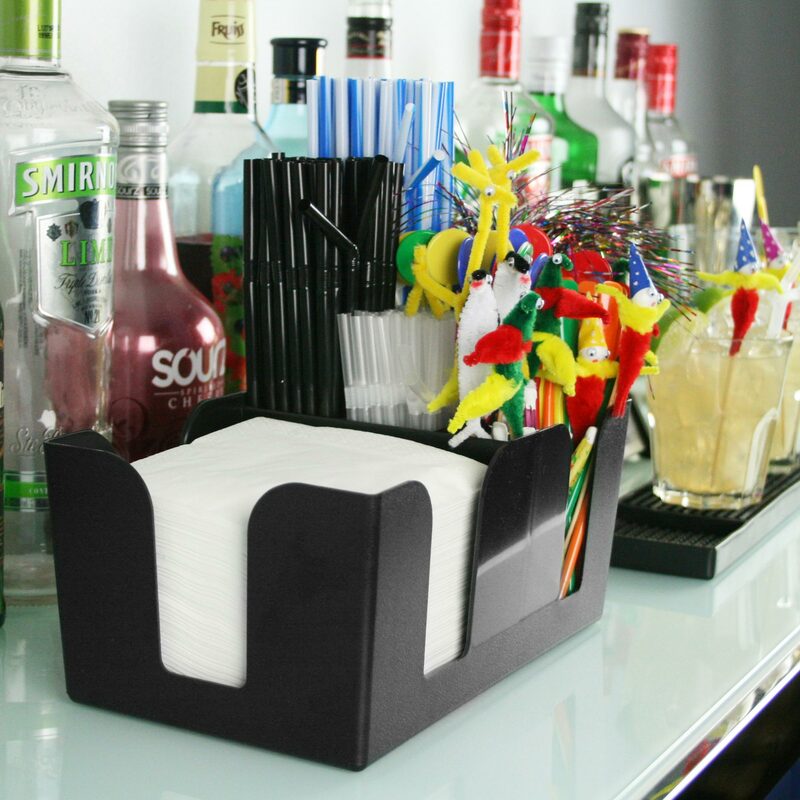 No self-respecting barman would work in a messy bar so make sure you organise your space with the bar@drinkstuff Bar Caddy Classic. This plastic black Bar Caddy has separate compartments to help you organise your straws, cocktail decorations and napkins. Good-looking and stylish, this caddy blends easily into almost any environment. 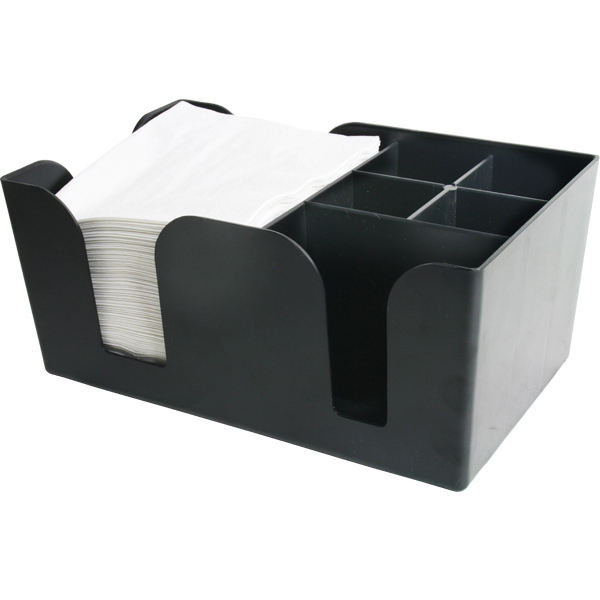 It has 5 compartments that can hold the widest variety of cocktail paraphernalia, and acts as a discrete way to show off your collection of cocktail cosmetics, while the larger compartment will hold around 100 cocktail napkins. "It is a great size and makes the set up look professional having it there. It is steady and holds a great deal. Arrived really quickly whinin 2 days of ordering. 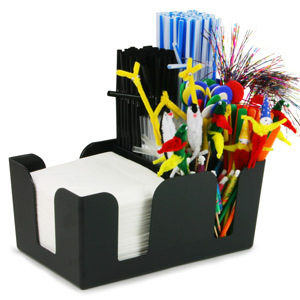 Really pleased with the product and service." "Excellent value for money. Compact, good size, sits great on my bar. Speedy delivery. would recommend to anyone." "Was expecting for £9 to kit out the front of my bar with all my cocktail needs.....it arrived and was just an empty caddy!!! !....lol back on line to find goods to fill it up!" Drinkstuff says: We're sorry that you're disappointed Brady. However, this product clearly states that accessories are not included. 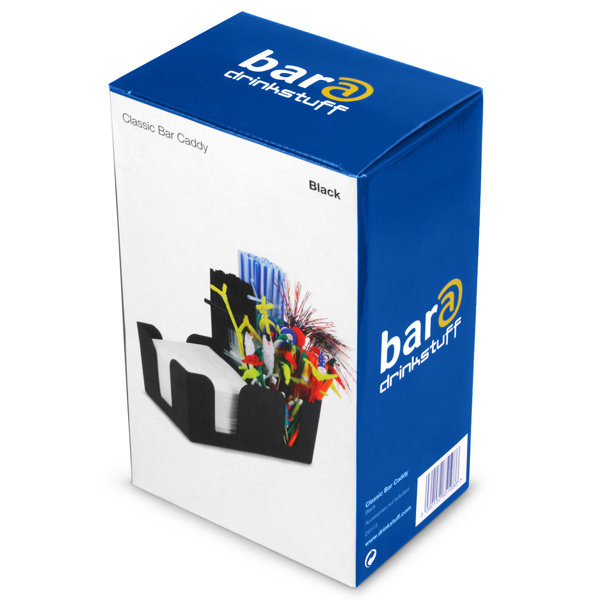 For a fully stocked bar caddy, please choose the Bar Caddy Starter Kit. 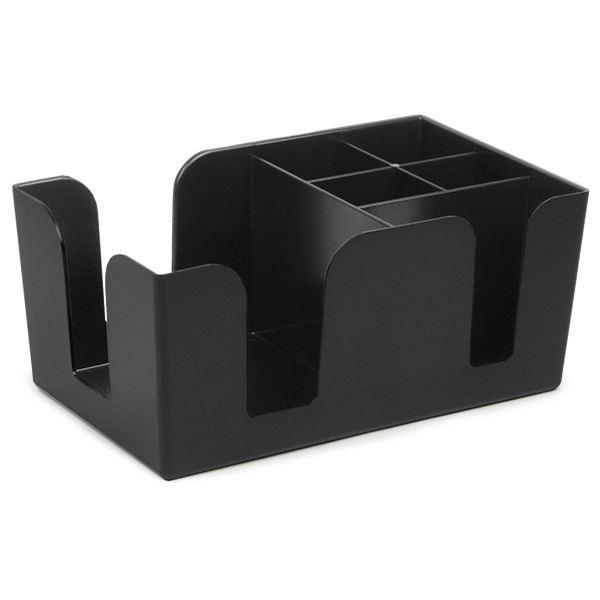 "This gives our home bar the pro look and keeps all the bits and bobs in one place."